The end of summer doesn’t mean we have to give up on the sun altogether. 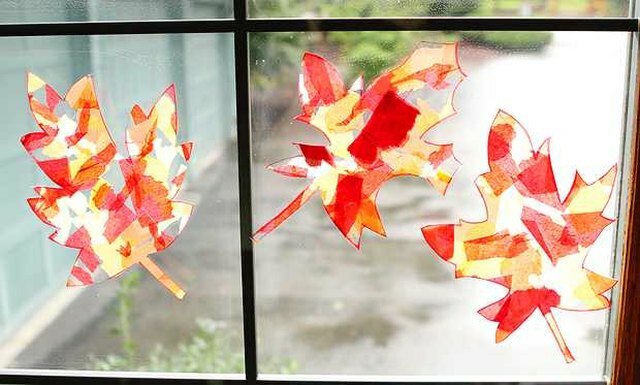 These bold and colorful fall leaf suncatchers are just the thing to use the sunlight to welcome autumn with the kiddos. 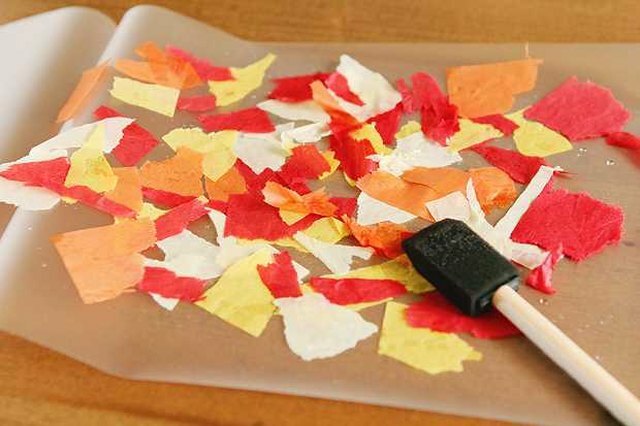 To get started, gather your tissue paper and use your hands to tear each sheet into small pieces (little kids love this step and it’s great for fine-motor development). If you’re using a self-sealing laminating pouch, place the torn pieces of tissue paper directly onto the inside of one side of the pouch. Then press the two sides together to seal. If you’re using traditional, thermal-laminating pouches and a machine, dip your sponge brush into some water and “paint” the inside of one side of the laminating pouch. 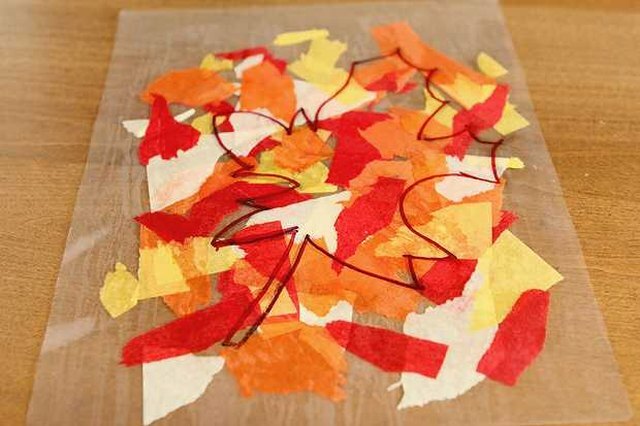 Place the torn pieces of tissue paper onto the sheet and blot it with the brush again if the pieces are sliding around. Close the pouch and run it through the laminator, sealed end first. 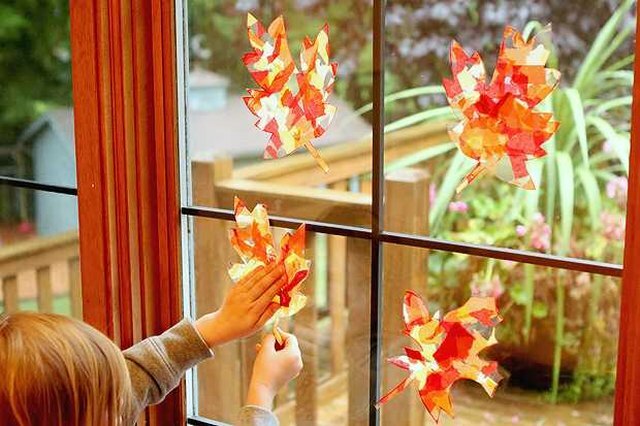 If the kids want to practice a bit before committing to their final leaf designs, have them use a dry-erase marker, which they can easily wipe away. Once they have a leaf, or leaves, that they’re happy with, they can trace them with a permanent marker. Next, get out the scissors and practice those cutting skills. 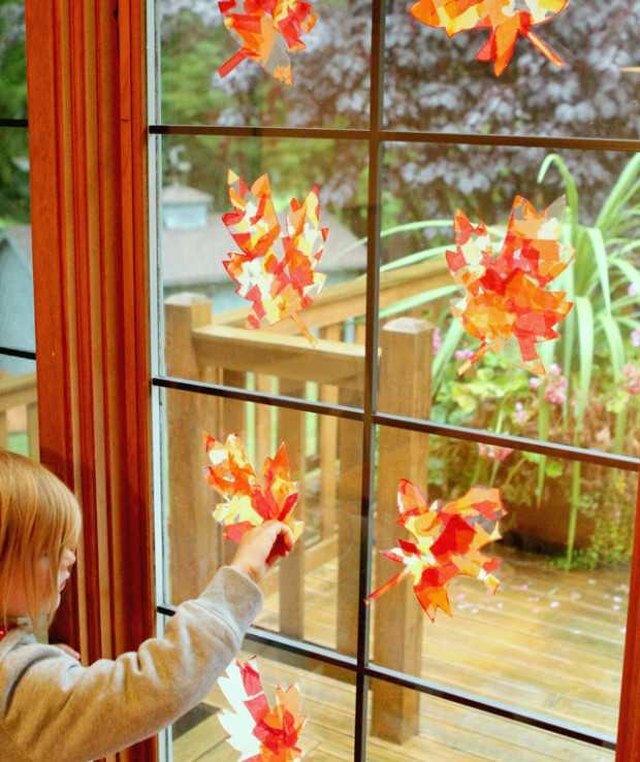 The last step is to adhere a couple of pieces of double-sided tape to the leaves and mount them to the window. 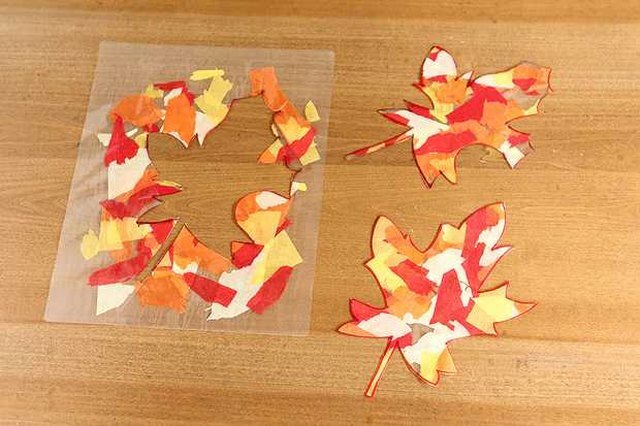 The sun shining through the tissue paper will create a lovely stained-glass effect.